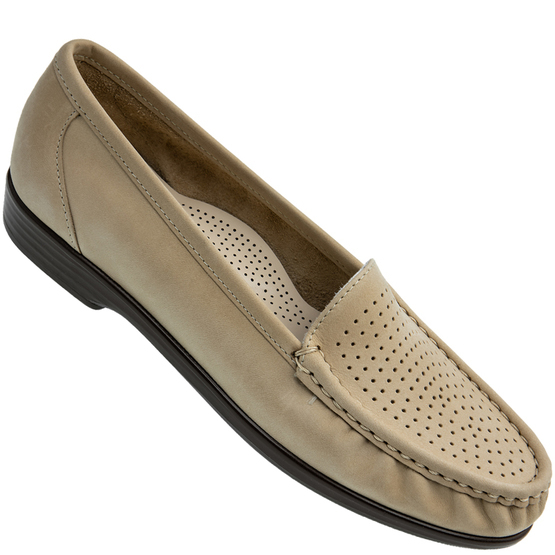 Based on the best-selling Simplify the Savvy adds a perforated vamp to this much loved style. Exceptional comfort in every step the SAS brand has become synonymous with quality and fit. Soft, unlined leather upper with a cushioned removable insole.